For humans, the neck is one of the most vital areas of the body and it is also one of the most vulnerable. The neck supports the full weight of the head which can make an injury to the neck immensely painful. Injury in this area can cause stiffness and immobility in all or part of the neck. It is also common to have some discomfort and/or tension in the neck due to spending long periods of time leaning over or exhibiting poor posture. However, there are many different treatments for stiff neck and its associated soreness, as well as practices to prevent them or reduce their overall length and severity. Issues with the neck are never pleasant to deal with. Since there are so many different potential causes for a stiff neck that it can sometimes be very difficult to determine the precise cause of the irritation. Unless the discomfort begins right after an incident such as an auto accident, a fall, or first thing after you wake up then pinpointing the exact cause will be more difficult. The more universal causes of neck immobility or strain will usually heal within a few days due to the durability of the cervical spine but can sometimes take a little longer. 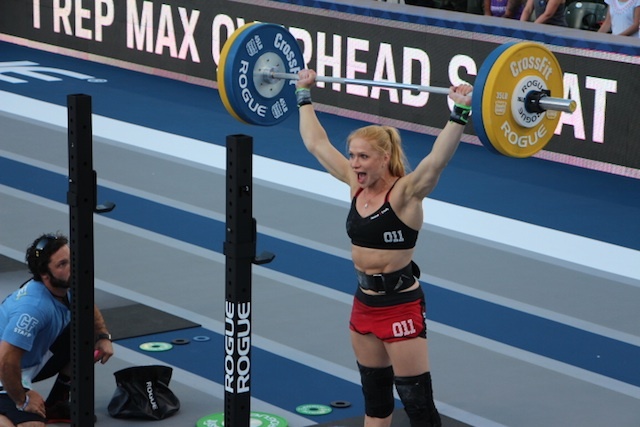 It can also be a prevalent strain for CrossFit athletes that engage in olympic lifting because of lifting form. 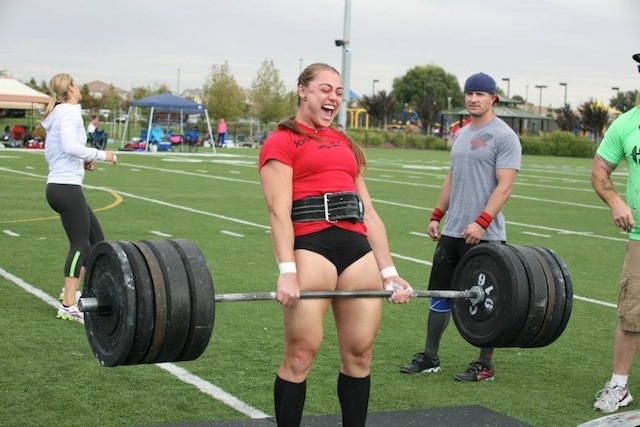 When O-lifting your back, shoulders, and neck muscles are commonly targeted. Sometimes a significant amount of lactic acid can build up in the muscles and cause soreness. You should consult a physician if your pain is lasting longer than two weeks or gets worse over time. The more common causes of ‘kinks’ or ‘pulls’ in the neck are the result of sprains in the soft tissues and muscles within the neck. Some other things that can cause inflammation in the neck are stress, arthritis, or sleeping in an uncomfortable/awkward position. Overhead movements in functional fitness workouts can also be another regular contributor to discomfort in the neck and cervical spine region. 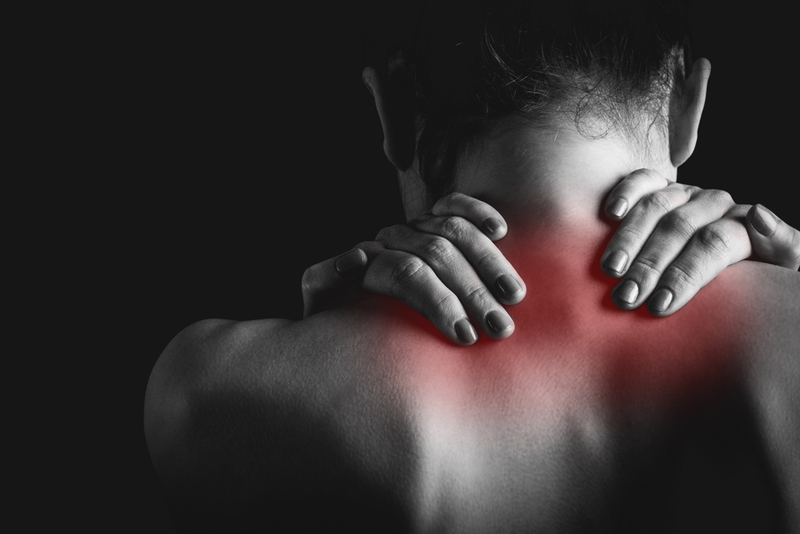 The more severe and dangerous conditions that cause neck pain can include cancer, autoimmune disease, meningitis, infection, spinal cord injury or other structural problems with the bones and discs. These are considered rare conditions and are usually quickly found and diagnosed by a physician. Regardless of the cause the tension, there are some things that we do regularly that can increase the pain. The average human head weighs roughly eight to twelve pounds, but our necks can support significantly more weight than that. This is important because the strain on our neck actually increases dramatically when we tilt our head in any direction. A significant change in weight when tilting or leaning forward could have drastic effects on the weight felt by the neck. Even a slight tilt of about fifteen degrees could have the potential to double the strain put on the neck. It’s because of this extra strain from tilting the head or hunching over those people who spend long periods looking down at their electronic devices end up having neck pain and stiffness. This is commonly referred to as ‘text neck’ or ”desk neck’. Inflamed muscles in the neck and back can also lead to headaches, migraines, shoulder and arm pain. Often when someone has this it can make it extremely painful to turn the head to either side. So it isn’t unusual for one to have to turn their entire body to look over their shoulder. Because of this, it is usually recommended that a person with a strained neck avoid things such as driving or other activities that require someone to quickly rotate their head. After a tough workout, cooling down correctly is crucial to your recovery. It can also play a significant role in avoiding sports injuries to the neck and back. One of the best and most common things used to reduce pain from a stiff neck is ice therapy. There are ice packs for stiff neck and back muscles that are designed to mold to the shape of your body. Using ice on the neck will normally reduce pain and swelling and can often lead to a shorter recovery period. Along with ice, some simple stretches such as squeezing the shoulder blades together could help alleviate some of the pain and soreness. Massaging a lacrosse ball over the muscles in these areas gently post-workout may help prevent them from becoming over-stressed too. Heat therapy can be another way to help treat or prevent injuries to the cervical spine area. Contrast baths are also a good option. One more thing that can be beneficial for posture feedback is Kinesio-taping. But be sure to follow a thorough set of instructions when doing this.